Diving into long-term relationships can be scary, but the Defense Department said it’s ready to go to commit to its startup outreach program. 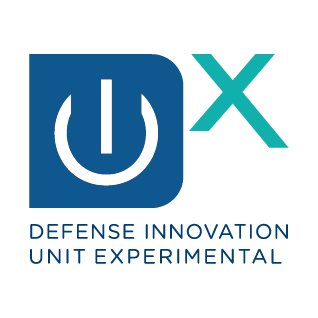 Defense Innovation Unit Experimental (DIUx), the office charged with bringing Silicon Valley tech to the Pentagon, will now be known as Defense Innovation Unit (DIU). The name change reflects military leaders’ “commitment to the importance of its mission” and signifies the permanence of the group within the country’s defense apparatus, according to Deputy Defense Secretary Patrick Shanahan. Every year the Defense Authorization bill is filled with golden nuggets of little noticed provisions that make a big impact on the federal acquisition community. This year they range from a strong focus on making it easier for agencies to buy commercial items to mixed messages around the use of other transaction agreements to the ever increasing concerns about too many bid protests. This is, by far, not a comprehensive list, but several that most federal and contractor employees interested in acquisition should know about. The House passed the NDAA on July 26. The Senate is expected to take up the bill next week. House and Senate conferees agreed to the bill on July 23, clearing the way to passage. 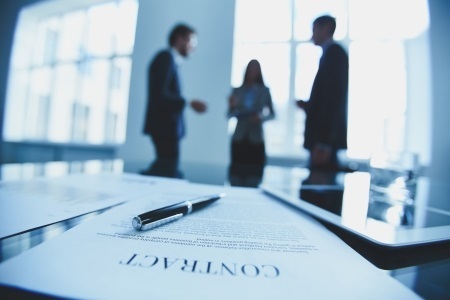 The Government Accountability Office recently upheld a first of its kind protest of a contract awarded under the non-traditional contracting methodology known as other transaction authority. The protest and GAO’s decision have stirred debate over the future of OTAs and their potential to fundamentally disrupt federal acquisition. First, some background. 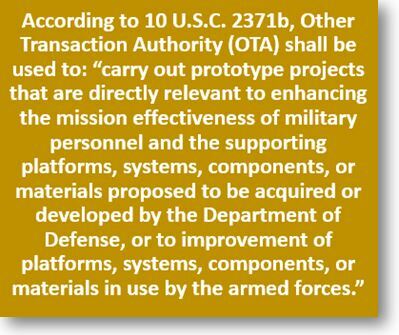 OTAs enable certain federal agencies, most prominently the Defense Department, to enter into commercial contracts outside the constraints of the Federal Acquisition Regulation. Historically, OTAs have been used to engage commercial companies during the research and development of new technologies without burdening them with requirements and costs associated with the FAR, which can be a major disincentive for companies to work with the government. But the attractiveness of OTAs was often limited by the fact that once a selected technology entered final development and production — in other words, was ready for market — the FAR came back into play, thus obviating some of the very benefits the initial OTA was intended to provide. Advocates have long argued that extending the authority through full production or deployment (known as “production authority”) was the key to their success and to enabling the government’s access to the full range of emerging capabilities. Two years ago, Congress decided to do just that, at least for Defense. And that decision has, in turn, been instrumental in the dramatic spike in OTA activity since. The Department of Defense (DoD) has once again emphasized its willingness to engage with commercial companies and other non-traditional contractors to try to expedite and simplify its procurement of innovative technologies. In particular, the Defense Information Systems Agency (DISA) indicated that it plans to enter directly into Other Transaction Authority (OTA) agreements, and DoD issued a class deviation for a commercial solutions opening (CSO) pilot program.